State Department official says US in touch with student who was refused entry to Israel due to her support for BDS. 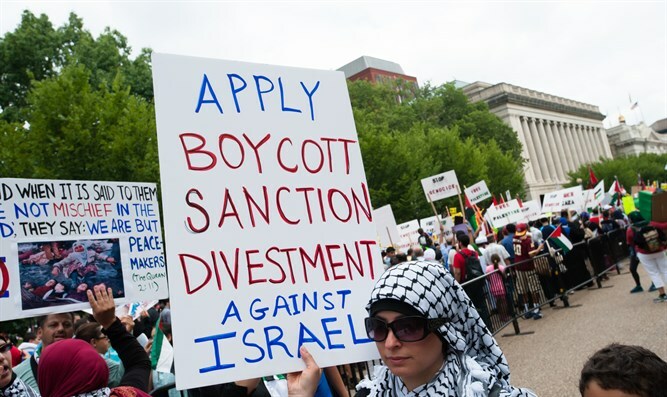 The United States said Wednesday that it supports freedom of expression and was in touch with a Florida student refused entry into Israel over her support for the Boycott, Divestment and Sanctions (BDS) movement. At the same time, a State Department spokesman also said Israel has the right to determine who is permitted to enter its territory, reported AFP. Lara Alqasem, a 22-year-old American college student, was denied entry to Israel at the Ben Gurion Airport on October 2 due to her involvement in the BDS movement. The University of Florida graduate was president of the campus chapter of the pro-BDS, anti-Israel “Students for Justice in Palestine” group. The State Department said that the US embassy in Jerusalem was offering consular assistance to Alqasem. "Our strong opposition to the boycotts and sanctions of the state of Israel is well-known," he stressed. At the same time, he added, "Israel is a sovereign nation that can determine who enters." Internal Security Minister Gilad Erdan said on Tuesday that Alqasem would be allowed to stay and take her place in university if she publicly denounces the BDS movement.